This article contains the opinion of the author and is not a reflection of the opinions of the oprainfall staff as a whole. FBI profiler reveals truth on violent video games at CBS. 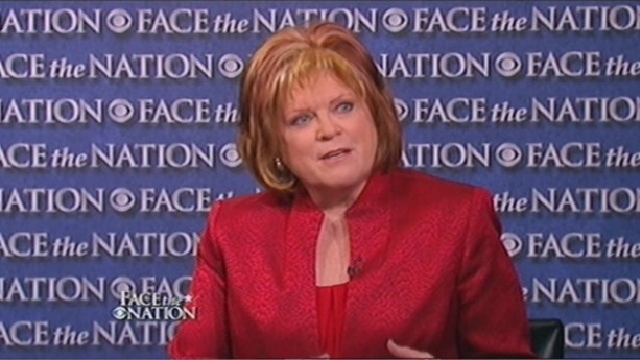 According to an interview with Mary Ellen O’Toole (a former FBI profiler) last Sunday on CBS‘ news broadcast, Face the Nation, her statements regarding her experience with unstable criminals that cause such terrible tragedies as the Sandy Hook Elementary shooting are plain as day; even an organization such as the FBI does not consider violent video games to have any kind of causal relationship with these kind of horrible actions against society. Her sentiments were further explained by Prof. Christopher Ferguson, a critic of those who blame video games for violent crime in the Psychology dept. of Texas A&M International. In other words, in people who are already prone to violent thoughts and behaviors – those who are isolated and willingly indulge themselves in violence on a constant basis with no other activities – violent media can act only as “sources of fueling ideation that’s already there” when used by that person as a personal-training or educational tool. Such statements bring back to mind the ‘manifesto’ of Anders Breivik in the tragic shooting that occurred in Oslo, Norway, in which the Call of Duty franchise was called his ‘training material’ for that antisocial calamity. Prof. Ferguson also revealed several key facts behind the issue of violent games, not only referring to the Comics Code Authority of the 1930’s and its creation in response to the Kefauver Comic Book Hearings, and also explained the concept of “moral panic” which all new media must endure as a scapegoat for society’s problems. Then, the professor related startling facts about the reality of violent video games and their affect on society and crime. Among youth, violent crime is down to its’ lowest point in four decades; other countries who consume just as much media and games as North America have lower crime rates than that in this country. Studies which claim to prove video games cause aggression have methods which are fundamentally flawed to begin with, and the list goes on during the entire joint interview. “We have this repetitive pattern, and we can see that in the past it’s kind of ridiculous, but we cannot see that in the present.” The original video of this interview is available at the bottom of this article. However, even as both of these esteemed professionals stand up for the truth behind the frightened lies from those like the NRA president or selfish pundits like Glenn Beck, even the FBI understands that violence in any media, including video games, has an affect on society as a whole, even if actions are only done by those that desire violence to begin with. In the coming weeks, both myself and my fellow writer Ceruleath Noreleath will be conducting a series of editorial debates on a number of relevant issues within the gaming community and our collective culture. Our inaugural debate will be on this very subject; Violence in Gaming and Media Backlash, hosted here on the oprainfall website on Saturday, March 2nd. This will be a mature, honest and open look at this issue from all sides, as well as what we gamers can do about this problem as it exists. I would like to encourage all readers to return for this forthcoming article, as I can assure you that there will be something that anyone can learn from our efforts on your behalf. Video courtesy of Rawstory.com and CBS.